You may have read that you can outsource your content for pennies to developing nations; it’s true. What you may not have read is how destructive this strategy is for your UX unless you’re marketing to English speakers in that country. Most content generated in this way is generic and re-written directly from another website. Decrease the volumes of content and increase the quality. It is better to have one great piece of content that people share and which creates additional traffic than 10 bad pieces which are completely ignored. User research shouldn’t be limited to functionality and processes. 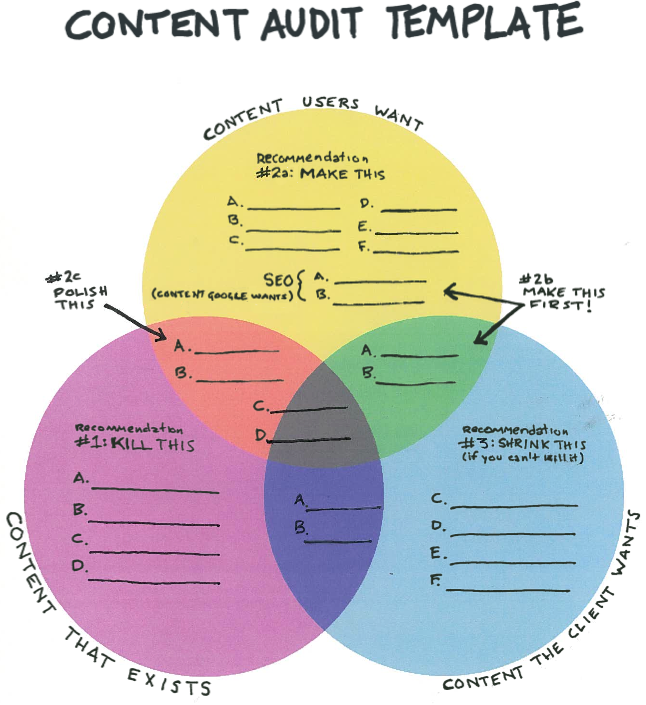 You need to understand what your users want from your content in order to be able to deliver it. Talk to your users and find out what that is. You should review all your content before it goes up online. The golden rule is to reject anything that you wouldn’t share with your business or social network yourself. If you think the content is bad; why would you want to share it with your audience? Regular publishing schedules are vital – they keep your readers informed of when they can expect more from you and hopefully that means more return visits. However, no matter how tight the deadline – it’s better to kill off bad content and be late than it is to publish garbage. Users can be forgiving over timescales but tend to be much less so about being bored. Yes, of course, you think your company, brand and products are awesome but if that’s all you ever talk about… expect people to go elsewhere for real information. There’s nothing wrong with some actual direct marketing in your content mix but the majority of your content should add value to the visitor’s life and marketing rarely does that. SEO, SEM, Social Media Marketing, etc. are all designed to support your content marketing strategies. There’s an expectation that just building a website is enough to win visitors in many businesses. Sadly, that expectation is completely wrong. Your content won’t rank well in search engines or be seen by anyone at all – until you’ve generated search engine positioning and been splashed across social media to grab attention. Content is about winning over hearts and minds; the relationship you build will eventually blossom into sales and long-term loyalty but in the short-term if every post ends with a plug to buy something – it’s going to send readers running for the hills. Don’t try to convert the first time visitor immediately; let them explore and learn something first.